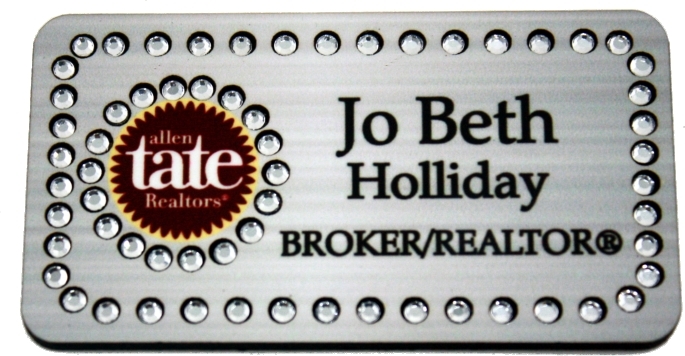 1.5X3" Allen Tate Silver Bling Name Badge with Clear rhinestones all around and surrounding the logo and Magnet Back. Your company name or your name and title are entered below. If you have a custom logo for your company you can upload the file right below. Click add to cart to place order.